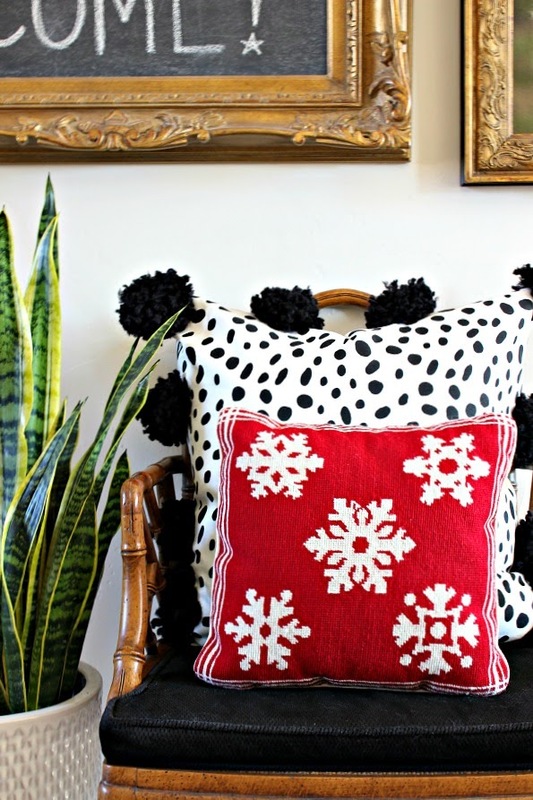 Tassels and pom poms seem to be the home decor detail of choice lately. I've seen them on pillows, throw blankets, purses, keychains, furniture knobs, lamps, and adorning a variety of accessories. I've jumped on the pom-pom bandwagon, but wanted to try my hand at making a few tassels as well. 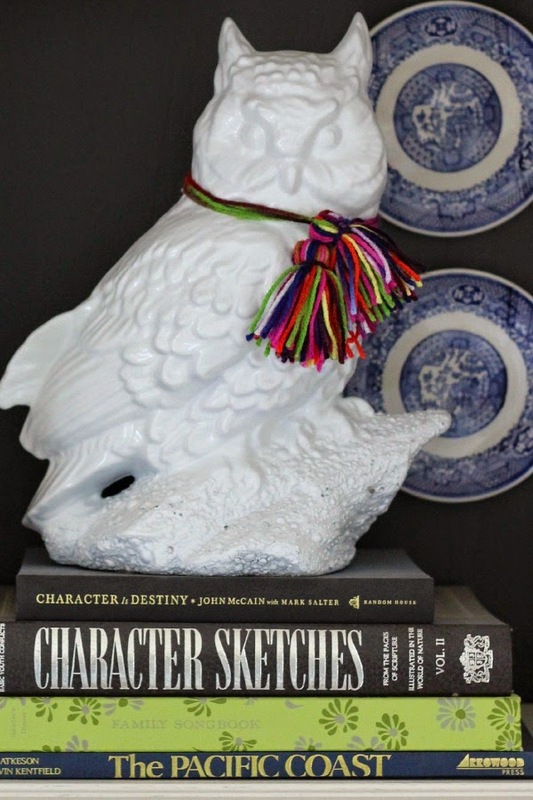 I knew I wanted a few tassels to accent some of my accessories, and I wanted them to be fun! I've been so inspired by the whimsical and colorful items from a shop called Furbish that I follow on Instagram, that I decided to choose a rainbow style yarn. Once I made a few tassels, I couldn't stop! 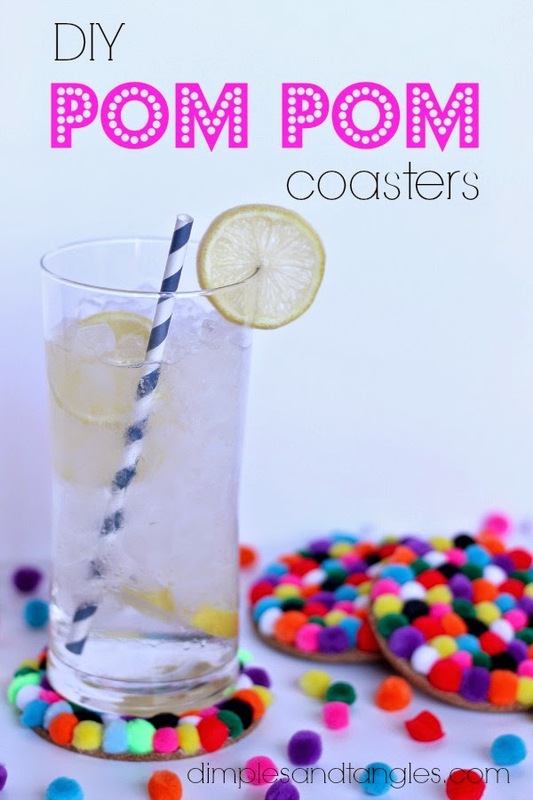 They are even easier to make than pom poms. 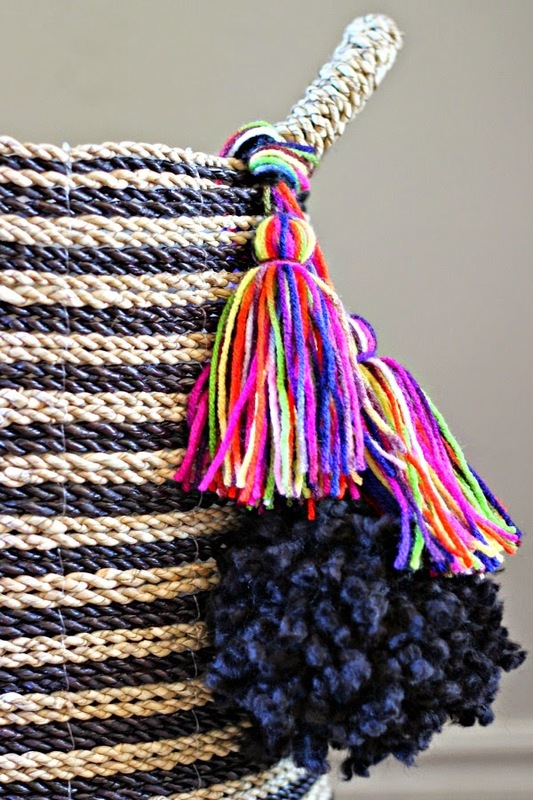 I had a huge pom left over from making my pom pom pillows, so I tied it together with two tassels on this basket from TJ Maxx. And as I looked around my room, it seemed that everything needed a colorful tassel added! I have several random knobs on hand, so I added one to our magazine basket with a couple of tassels. 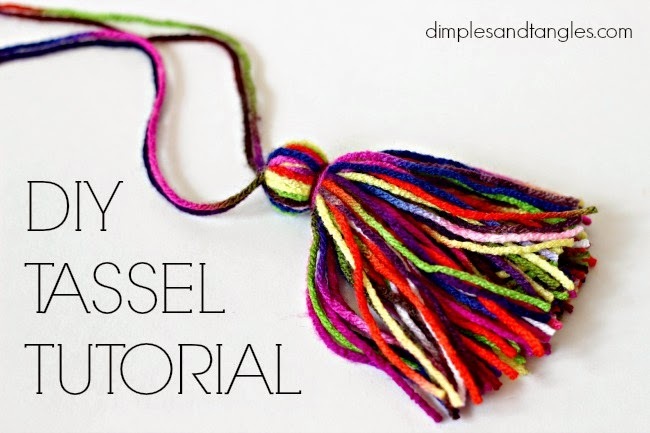 If you've never made a tassel, you must try! Even if you don't embrace color in your decor as much as I do, these would be lovely in any color, or even in lots of neutral tones using the fluffy, chunkier yarn for some texture. I made 2 different sizes, a longer, fuller one for the baskets, and a smaller one for the owl. 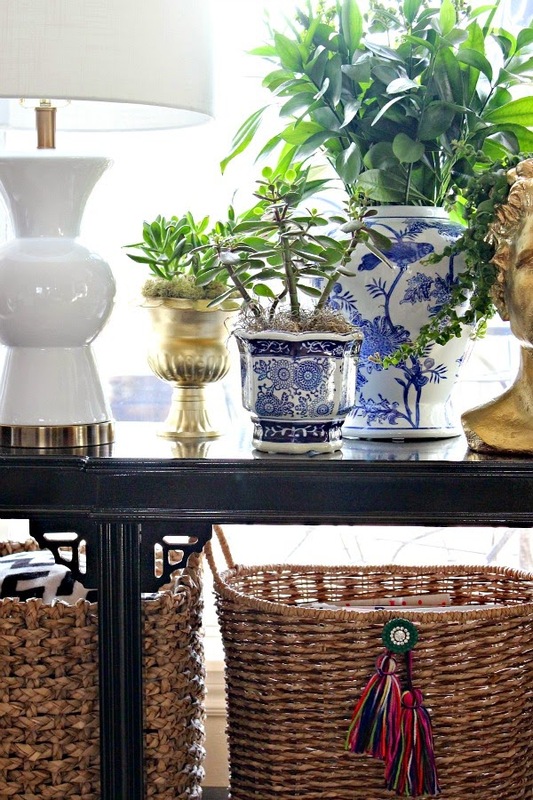 All you'll need is yarn and a piece or cardboard, posterboard, or sturdy paper. I grabbed a Christmas card that was about the size I wanted my tassel to be. If you want smaller tassels, trim you paper to the length you desire. Also, cut one longer piece (about 12"), and one shorter piece (about 6") of yarn and save for later. 1. Line the end of the yarn up with the bottom of your card, then start wrapping, covering the piece you start with in the first few wraps so it will stay put. Keep it semi-loose, you'll be sliding the yarn off the card at some point and you want it to move easily. 2. Continue to wrap until you reach the fullness you want. This tassel is about 5" long, and I wrapped the yarn about 50 times. The smaller tassels I made are 3" long, and I wrapped them about 40 times. 3. Take the long piece of extra cut yarn and thread it through the top of the loop you wrapped (I doubled mine but you don't have to). 4. Tie the loop tightly and secure with a knot. 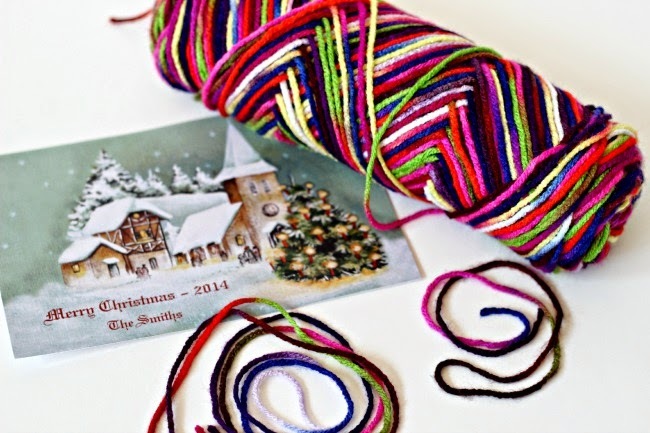 Gently slide yarn off of the card. 5. With the reserved shorter piece of yarn, tie tightly around the top of the loop and knot. You can just eyeball how big you want this top portion to be. 6. Slip scissors through the bottom loops and snip open. 7. That's it! You may need to trim a few stray ends, but they should all be fairly uniform. 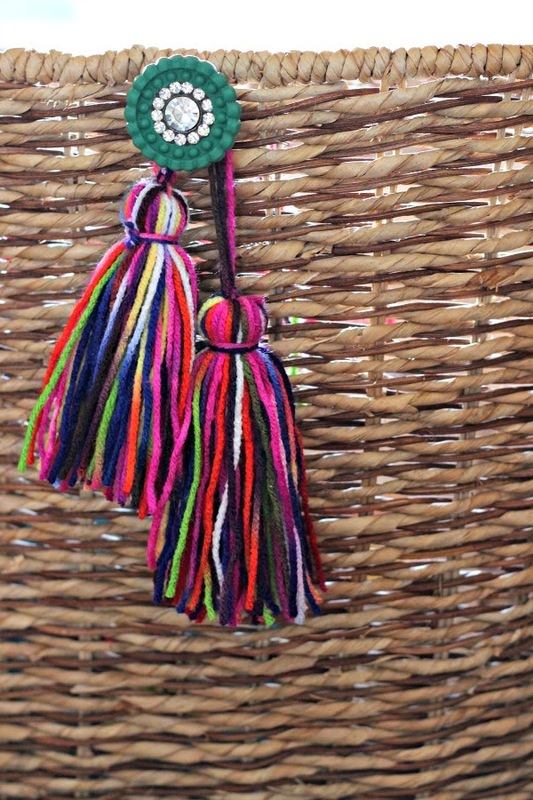 I hope you'll give it a try, surely SOMETHING in your space could use a little tassel love! I've had a tassel obsession for years. Glad they are back and yours look so colorful and fun. How cute! I think everything looks better with a tassel! Haha, cute, I love the knob on the basket with the cute tassel. Thank you for sharing. i love how it looks on the basket! great idea! Love these and using the knobs is so perfect too. Yes, I have a few tassels hanging around, I love them on drawer pulls. Looks great and love the yarn color you chose too! I love it, such a fun accent! 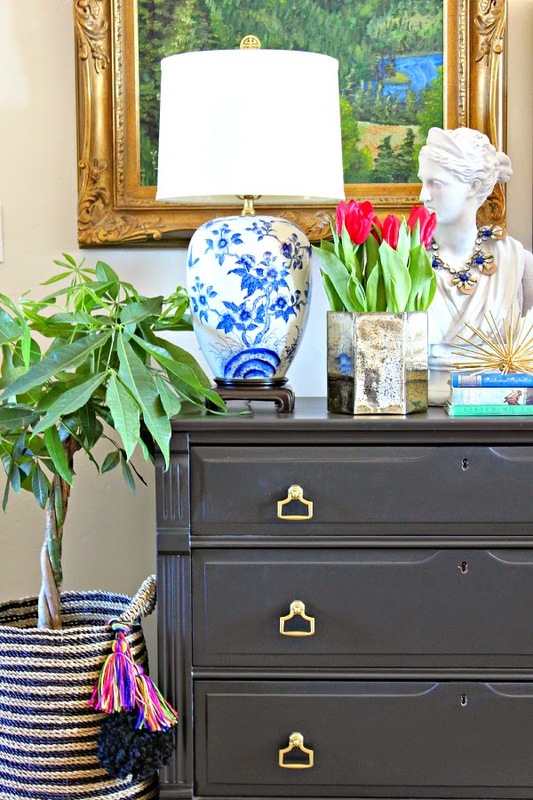 I added some (purchased) tassels to a small chest in my entry and I love the little bit of whimsy they add. Okay, that first vignette picture is everything. So gorgeous!! I love your poms and tassels especially on the basket! I tried this DIY but it didn't turn out so great. 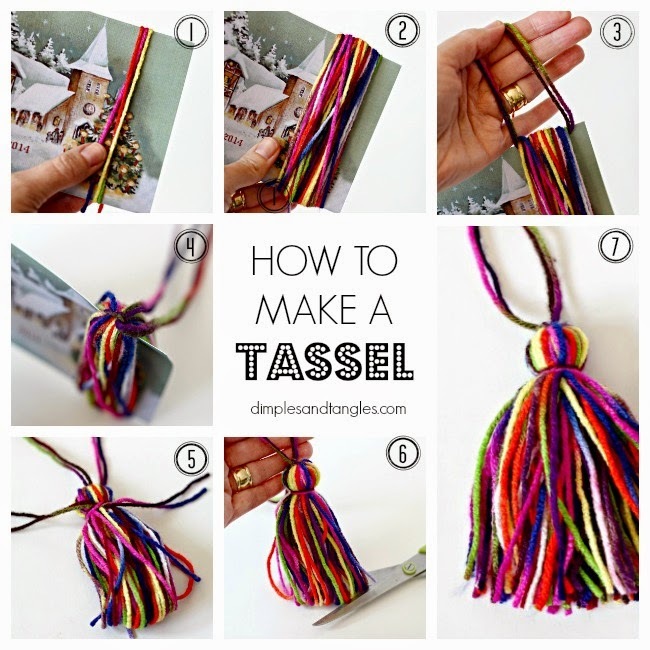 I loved the instructions for the tassel & will be making some for my daughter's senior party! Oh gracious! Now i know what ill be doing during Scandal and the rest of my shows!!! Looove them Jen. Thanks for sharing love.